Insanely fast and very dangerous! 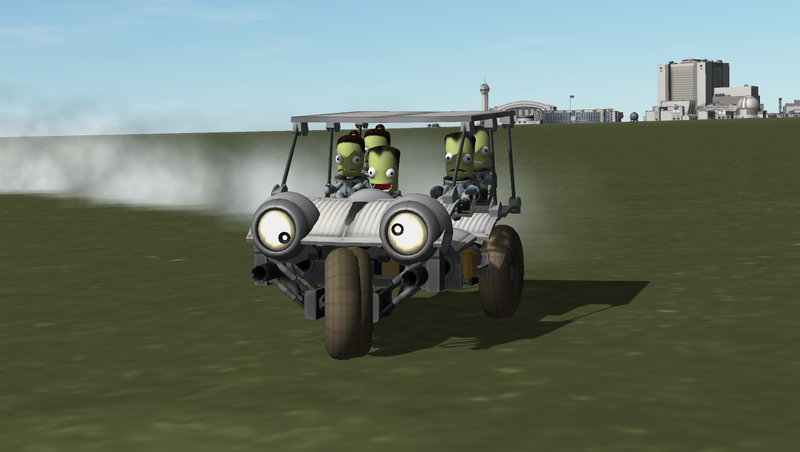 This machine was made for use in the densely populated cities on Kerbin. Originally it had a top speed of 20 m/s, fast enough because everything is bad about this thing. Bad brakes, not a lot of grip etc. Then some madman came along and decided it was a pretty neat idea to install two jet engines and fake machine guns. The result: a deathtrap with a top speed of 91 m/s. Very deadly indeed. But a lot of fun with drifting! Warning: doesn’t like cross country. You’re probably going to try it anyway.